There are lots of campsites you can stay in and the fee is $10 per night. You don’t have to book them in advance, they work on first come first served basis. 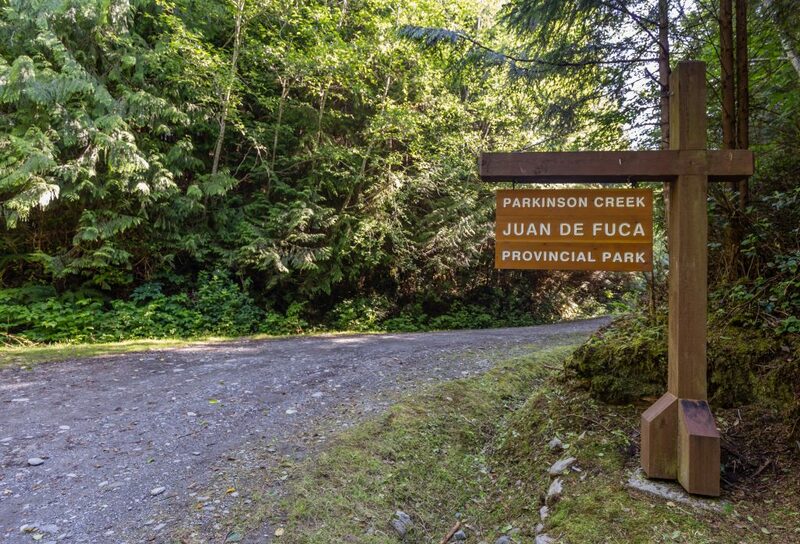 The fee is payable via BC Parks website or by cash at the main trailheads. 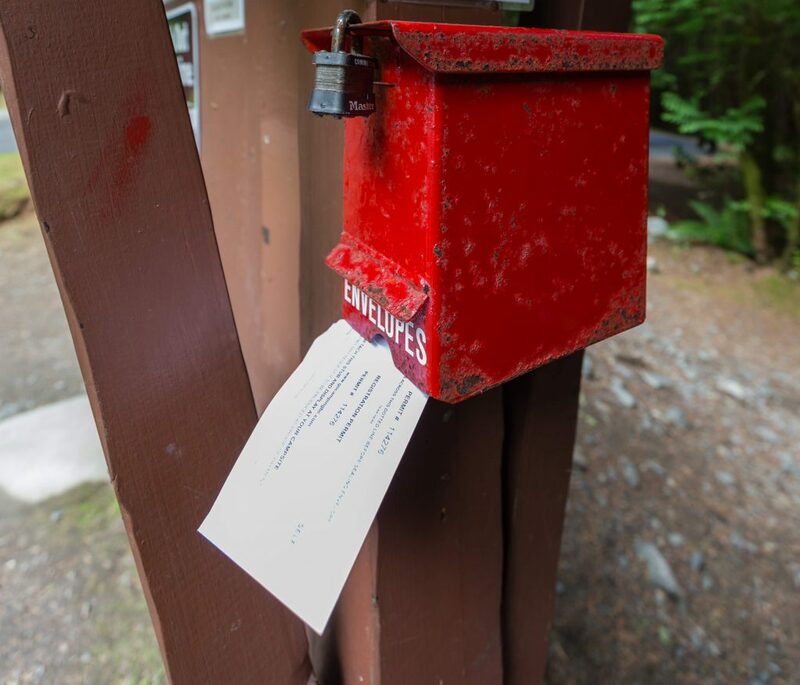 We saw the self-reservation boxes with envelopes at China Beach Car Park, Parkinson Creek Car Park and Botanical Beach Car Park. I recommend aiming to reach your campsite early (by mid afternoon) as they can get quite full. 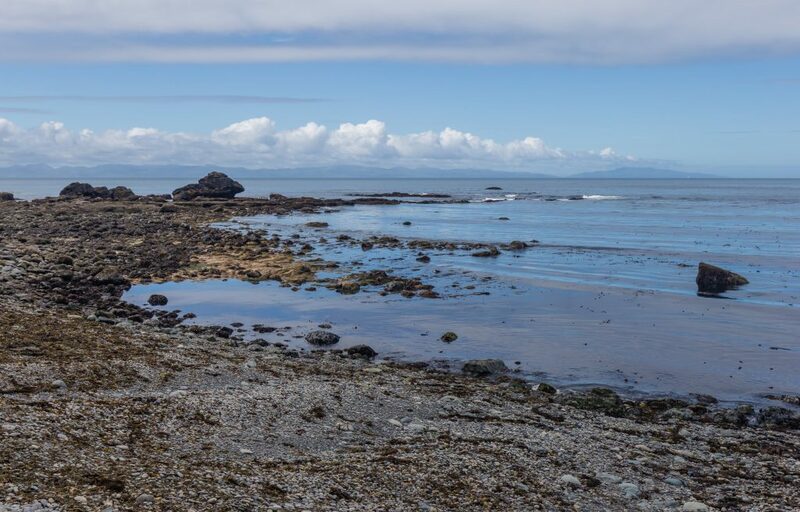 When sleeping at beach campsites, watch for washed up seaweed and never pitch your tent between the seaweed and the ocean unless you want to practise night swimming in a sleeping bag. Mystic Beach Campsite is nice and close to the car park with lots of spots on stones and only a few on sand. 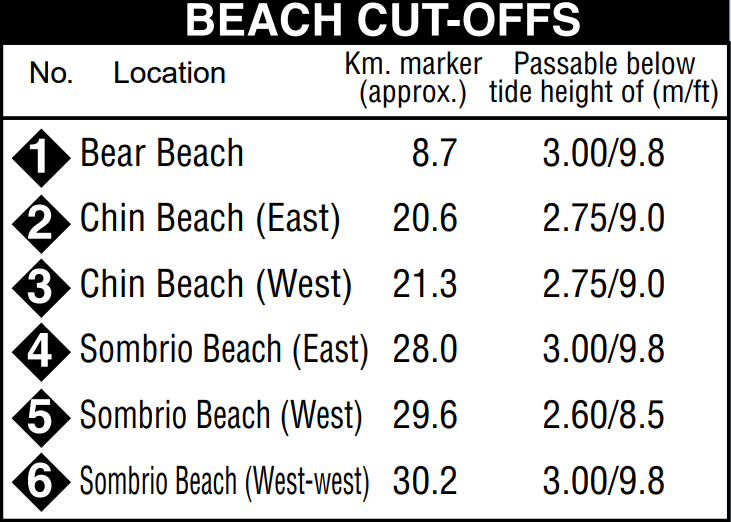 Bear and Chin beach are similar with many nice spots above the beach line at the edge of the forest. Lots of them have fire pits. Sombrio beach is the busiest campsite on the trail as is easily accessible by a car. But because it’s so big, there’ll usually be a private and quiet spot for you if you search enough. There used to be a community on the beach and there is a movie about it. Little Kuitche and Payzant Campsites are the forest campsites. Little Kuitche is nicer in my opinion and there is an easy access to the rocky beach where you can enjoy some sun. If you’re sensitive to noise, take ear plugs because the waves can get really noisy at night. At Mystic Beach in particular, high tide was around 2am which brought the waves rushing up the stones to within 2 metres of our tent and the noise was incredible. There is a bus connection to trailheads provided by West Coast Trail Express. It can take you to China Beach trailhead or Port Renfrew from where is it about 2 km walking to Botanical Beach trailhead. It’s quite pricey but that’s your only option if you don’t have a car. You can try to hitchhike too although this is officially illegal. We managed to get a ride from Port Renfrew to Victoria quite easily but we were prepared to catch an evening bus if we didn’t get a ride. The bus should be booked in advance, especially during the high season (summer weekends). Besides the main two trailheads, it’s possible to access the trail from different places too. Great access for day hikers is at Sombrio Beach where the car park is only about 300m from the beach. If I was to recommend a day hike along the trail, I’d go for a section between Sombrio Beach and Parkinson Creek Trailhead. It’s relatively easy and there is a long section which you can do along the beach – just watch out for orange buoys hanging from the trees which mark the enter / exit points from the beaches. There are only occasional marks and signposts on the trail. Even though most of the time the trail is easy to follow, I wouldn’t go out there without a good map or GPS. There are many side trails and the terrain is challenging so you don’t want to get lost!. There aren’t any opportunities to ressupply on the trail. You have to carry all the food you’ll need (and a little spare for emergencies). There is plenty of water though, I was pretty much alright carrying 700ml water bottle and I’d refill it as I needed from the ample streams along the way. The official advice is to treat or filter the water before using. I didn’t treat it most of the time and I survived. Anna chose to treat hers as she’s had bad luck in the past with catching stuff from water. Just use common sense. The trail is challenging, short, muddy, and with many ups and downs, but exceptional. I’m a bit biased because of my love of coastal trails but I’m sure that even a non-biased hiker would enjoy it. It is very muddy though. We had rain for half of the time but I heard that it’s muddy even when there hasn’t been rain for weeks. The forest there is deep and can keep the moisture in for a long time. I’ve summed everything up in the hiking report. 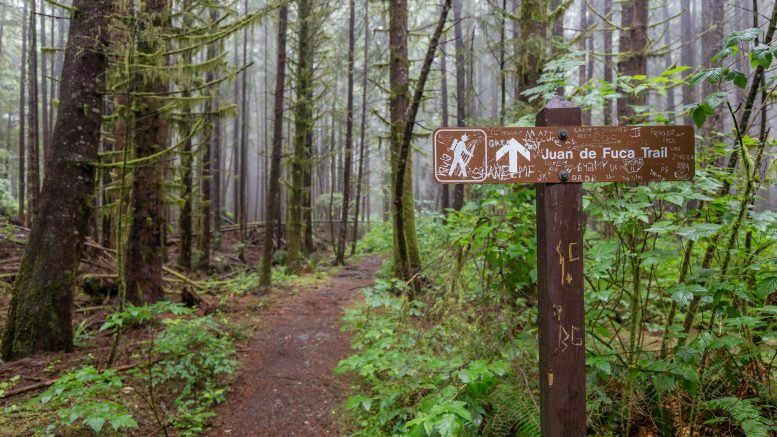 2 Comments on "Juan de Fuca Trail: Essential Information"
Thanks for the great tips for this trail! My pleasure. Enjoy the trail!